Short article containing advice for cryptocurrency beginners, giving them advice on how to choose a wallet, protect their accounts, and purchase their first cryptocurrency. Disclaimer: Cryptocurrencies are a risky investment due to their high volatility. Never invest more than you can afford to lose. Recently, a stockbroker reached out to me after reading one of my articles about a cryptocurrency exchange. The older gentleman, whose name I choose to keep anonymous, but for our purposes, we can call him Jack. See, Jack is not somebody who takes action without first analyzing how things work. He knows the stock market and trades there daily, but when it comes down to cryptocurrency, he does not know a lot. Even after a year of following various channels and outlets, the fundamentals of the technology have missed him completely. At the time when we talked, he didn’t even own a wallet. 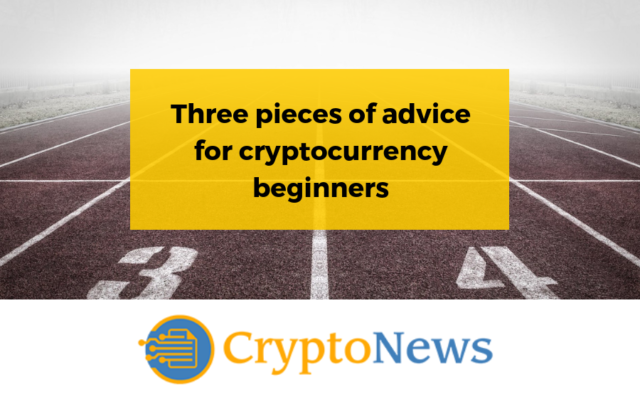 He was interested in learning more about cryptocurrency and how to enter this market, and in this article, I will share with you some of the advice that I gave this gentleman in our conversations. We mostly talked about Bitcoin, so this article will reflect that. If you are an advanced user of cryptocurrency, you will not get a lot of value from this article. Ten years into Bitcoin’s existence, the difficulty of ownership and usage of a cryptocurrency wallet has been reduced to the point where 5-year-old children can easily make transactions. Of course, just owning the wallet is not the end goal, but this is where you start. Before making a wallet, it would be useful to understand how they work. Across the entire blockchain ecosystem, every project implements a slightly different approach to the wallet creation process. However, all of them use encryption methods to protect you as the user. Some of them even give you complete ownership, which means that you are the only one that has access to your private key. The private key is your way of getting transaction-level access to your wallet. You should keep it safe and secure, unlike its counterpart, the public key. They are the product of encryption algorithms that are used across all blockchain systems to track who owns cryptocurrency. The private key is yours alone, and you should not share it with anybody, together with what is called the “backup phrase,” a 12-word sequence that can restore access to your wallet in the case of losing your private key or password. The public key is used to facilitate and receive cryptocurrency transactions. This is what people are talking about when they request an address. You should be able to find it easily within the standard “receive” tab in your cryptocurrency wallet. How to choose a cryptocurrency wallet? There are a couple of different wallets available, and both of them come with pros and cons. This article talks mostly about Bitcoin, but there are cryptocurrency wallets that are capable of storing any token or coin available on the market. For now, we are focusing on Bitcoin, because it is the perfect starting point, and there is a ton of information available about the entire experience. These wallets are created locally, on a computer that is running the software necessary for maintaining the network. In the case of Bitcoin, this would be the “Bitcoin Core” software. This approach is not recommended for beginners, due to the impressive disk space requirements for running the software. The idea of downloading +100Gb to create a wallet is daunting. You can try this out once you’ve gained some experience with cryptocurrency in general. These are wallets that have a different blockchain access point (meaning the core software is running on a server), but you still have full ownership of the private keys. Another term associated with this type of wallet is “lightweight.” Whenever you encounter this term, you know that you are going through somebody else’s server to facilitate your transactions. Lightweight wallets are the easiest to begin with, and provide the highest level of security while removing the need for running the core system. Blockchain (the company) provides one of the easiest and user-friendly wallets out there. The second best is the BTC/BCH wallet by BTC.com. Hardware wallets are the most secure type of wallet, but you don’t really need one when you are starting out. Cryptocurrency exchanges are one of the top reasons why people get into the market. They want to trade, and they want to buy and sell all kinds of coins. Trading is great, but it comes with its risks. Carefully selecting an exchange is paramount because there are many risks to consider. Exchanges do not typically share private keys with their customers, drawing similarities to banks that do not give out vault keys. It’s only natural for them to protect the information. This means that you are not the primary owner of the cryptocurrency, but somebody else is keeping it for you, just like money in the bank. Selecting the top-tier exchanges will provide you with the safest and most reliable experience. Analyze what is happening and research before getting involved with a random exchange. Exchanges are a topic for another day, but for now, keep in mind that making a good decision on which exchange to use is paramount. Lightweight wallets typically enable you to purchase cryptocurrency with any debit or credit card directly in the application. Another method would be to go through a cryptocurrency exchange that supports fiat (traditional currency) deposits and exchange that for cryptocurrency. All in all, it should be a pretty straightforward experience. If for whatever reason you are unable to use debit or credit cards for this reason, then you can access the OTC (over-the-counter) crypto market. Websites such as www.localbitcoins.com enable users to trade in many different ways. Reaching out to your tech-savvy friends can also provide you with an easy way to get cryptocurrency, as most technologically inclined people already own, and maybe you can buy directly from them. Very important. Two-Factor Authentication (2FA) is a widely used security feature for many different types of accounts. Starting from email, all the way to the cryptocurrency exchange accounts, almost everything you have online should be protected using this technology. It pairs your smartphone to your account by creating a unique password that resets every 60 seconds. Upon login, the online service will require this code protecting your account in the case your password gets discovered. 2FA increases account security 100-fold, and it is highly recommended that you begin using it, especially for cryptocurrency ownership. Many people do not understand the fundamentals of cryptocurrency and blockchain technology, yet they have taken serious action toward acquiring these assets. Many of them have fallen victim to scams or have lost their crypto through negligence. Remember Jack from the initial paragraphs of this article? He did one thing, and he did it very well. He was patient, and strived to learn and discover more, before diving into cryptocurrency. If you are a beginner, it is highly recommended that you do exactly the same, and learn before you burn away your investments. Struggling with cryptocurrency? We can help you! Simply go to the comment section, and share your crypto-troubles with us. Many of our writers are highly experienced with cryptocurrency and they would be more than happy to share their knowledge with you. But first, we need to know what are the questions running through your mind. Comment below, and share with us.